It sure helps when you have the family support. How nice for you and your sister to be in the same building now- maybe you could get her going with the knitting pins and your stash of yarn! 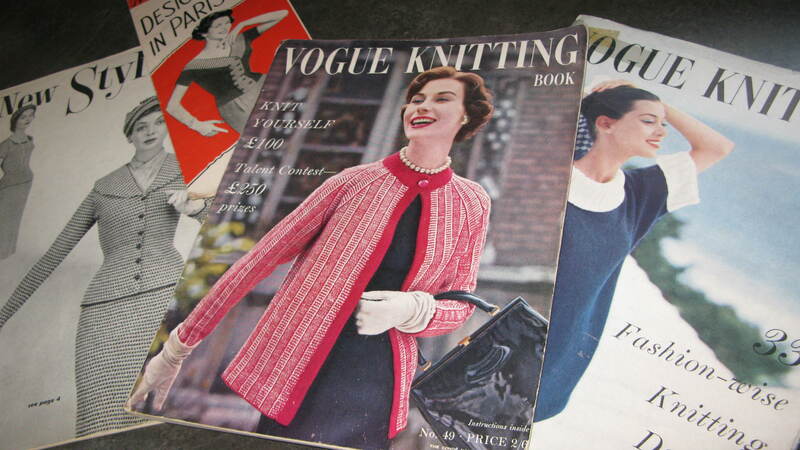 I bet you have some gorgeous yarns and patterns in your collection. Jo Anne, Initially, I didn’t fully appreciate how important and enjoyable taking a little extra time for memory lane would be. I think it really eases the “letting go” for all us. Thanks for sharing your thoughts. 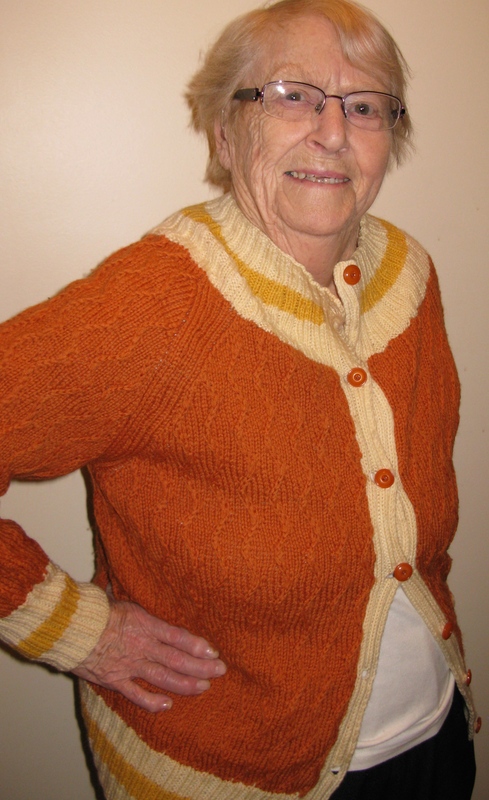 Thanks Mickie- I love that sweater too, I wish it fit me! Mary Lou, I’m sure your contribution will be very welcome. It sure helps purging process when you have a meaningful charity to pass things onto. A lot of my mother’s extra yarns are going to a charity knitting group. Thanks for sharing your thoughts. Diane, this is a beautifully written article with lovely thoughts and emotions expressed. It illustrates so well how even bittersweet moments can be full of positive thoughts if people can just take a little extra time. 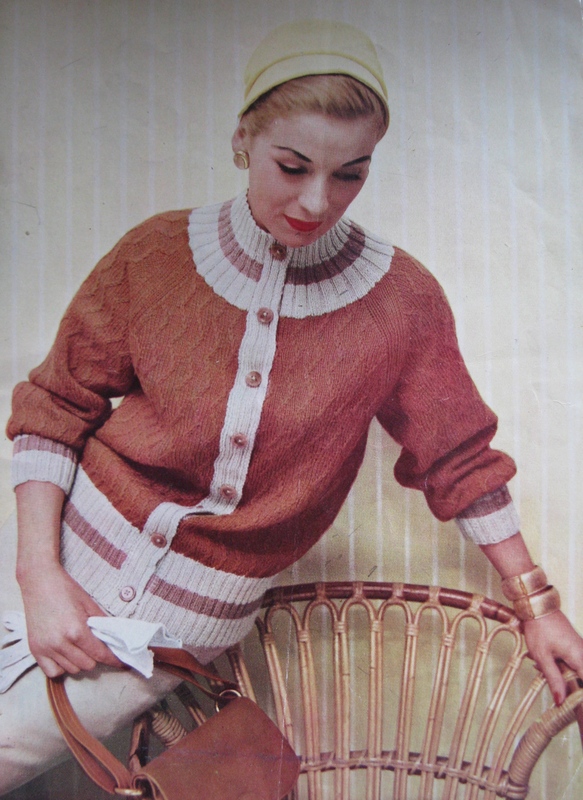 Love this and love the sweater! Thanks for sharing. We are doing the same thing, not for our parents, but for us. 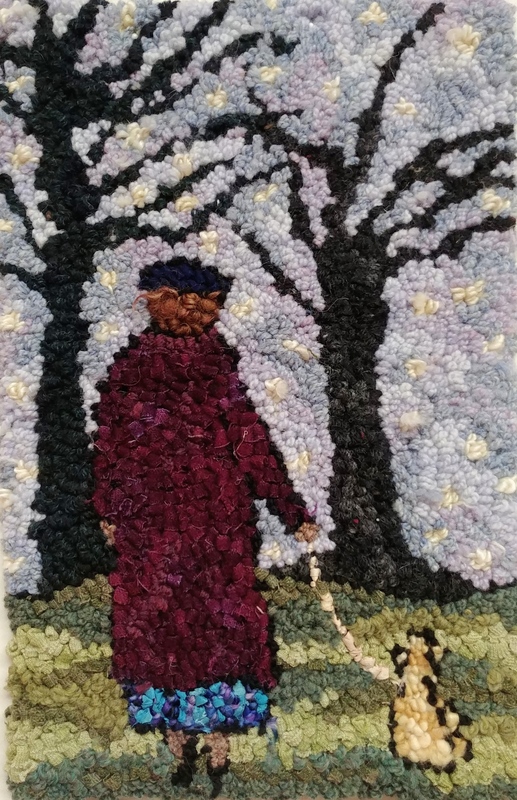 I am purging my rug hooking and knitting stash, funding-raising for the Hooked Rug Museum of North America. I would rather do what I can myself than ask my children to it….although, clearly, there will be lots for them to dispose of.